While families tend to sit down to dinner and share a common meal, breakfast is usually quite an individual affair. Yours may be a slice of toast between your teeth as you reach behind you to close the front door, whilst for others it has to be the full shebang of eggs, bacon and so forth. For me, nothing other than oats will do and I have my reasons. Oats are hearty and hot and once downed with a cup of tea chaser, I really don’t need anything other than a piece of fruit until lunchtime. 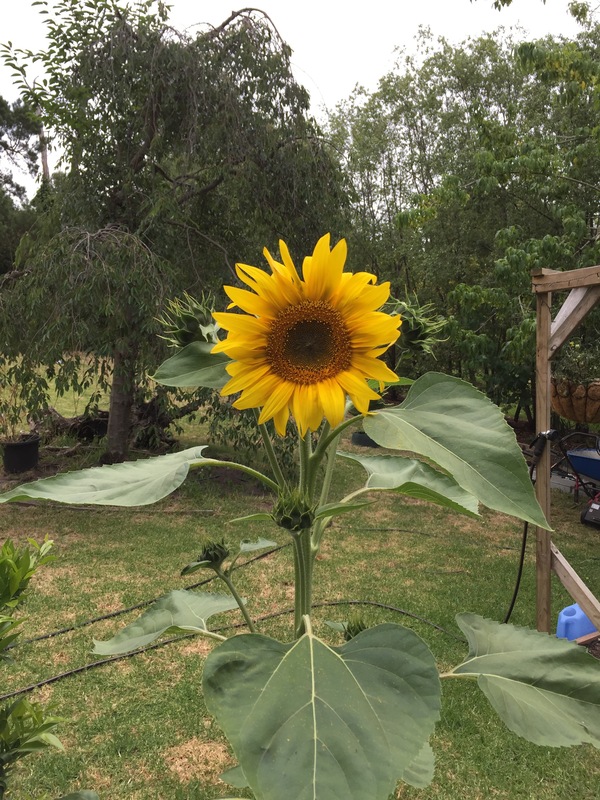 In terms of nutrition they are a natural, complex carbohydrate that provides the perfect foundation for building your day (as well as a fruit/seed monument) upon. Honey and sugar however, can quickly unravel all the good work that oat-eating does, so I find by adding a handful of raspberries to the mix, their sweetness keep things in check. Fresh raspberries are prohibitively expensive and have such short seasonal windows, so I resort to the frozen variety and keep my freezer stocked all year. Topping your oats with a sprinkling of pumpkin kernels and sunflower seeds, ensures you’re placed well on the fibre moral highground. 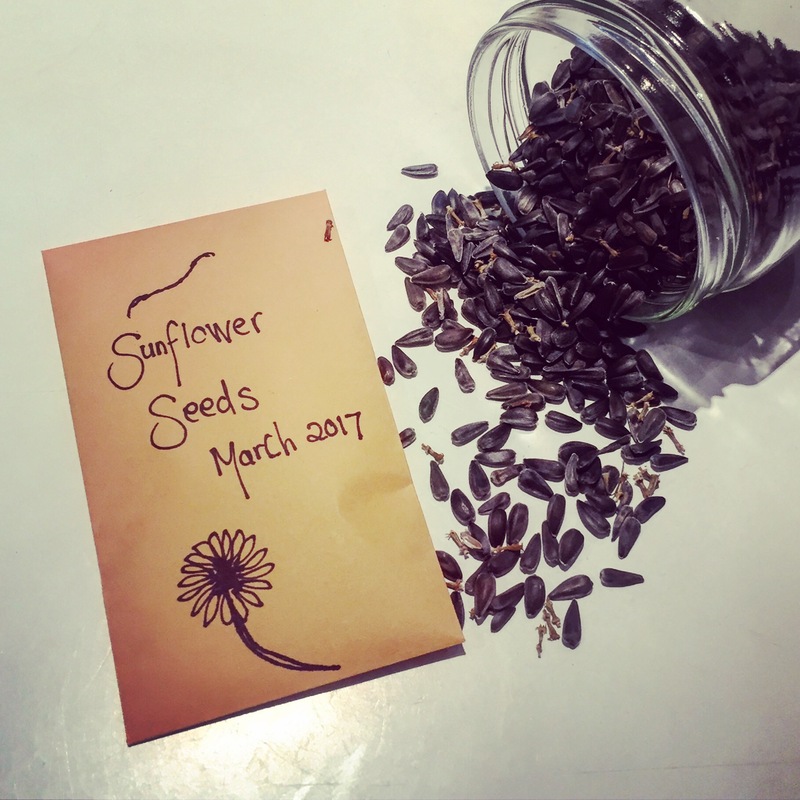 I buy these seeds in bulk and store them in lovely recycled jars, within easy reach. 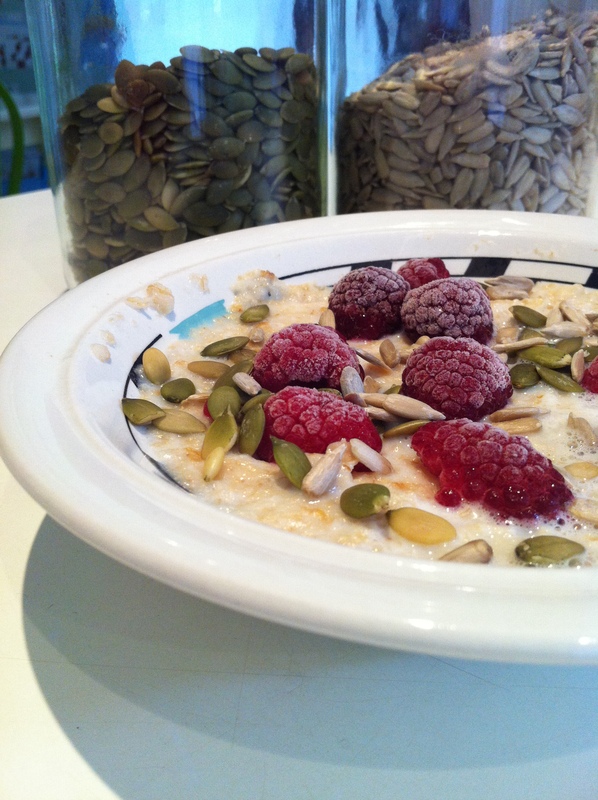 If you have a lovely oats breakfast combo, I would love to hear about it – I’m very happy to extend my repertoire. Post script: If cooking a saucepan of oats is overly time consuming for working mornings, 90 second instant oat sachets are a reasonable standby.